RISE is an annual women's only retreat which takes place in November. The 2019 dates will be announced soon. Is it time to reset, revive and reimagine your life!? This retreat is for a woman who desires a complete break from the day-to-day, some time for fun and adventure, plus deep personal exploration, healing and transformation. Are you ready to embrace your truth, commit to changing what isn't serving you and set bold new intentions for the next chapter? This retreat offers you deep transformation, healing, connection and inspiration with the intention to set you up for the next stage of your life - AKA Part Two! A retreat like this brings enormous perspective and an opportunity to really connect back in with you. November 2019 (exact dates tba) : Galle, Sri Lanka. Rise is a 7 day / 6 night transformational retreat on a private Sri-Lankan island surrounded by peaceful mangroves, flowing rivers and bird sanctuary. It's a green haven and we will have the entire place to ourselves. Airport : Colombo - from there we can arrange transfers to the retreat. Your private and environmentally friendly bungalow incorporates contemporary comforts with traditional Sri-Lankan construction. Immersed in the jungle, the spacious grounds ensure your cabin enjoys complete privacy and you will love to rest on your own personal balcony and watch the monkeys swing by! Your luxurious jungle villa with Ayurvedic massage spa is just a few minutes from picturesque sandy beaches and has been specifically designed to ensure rejuvenation of body & spirit. We will not reveal the full retreat itinerary - there is magic in having the experience revealed to you, day-by-day. Suffice to say you will laugh, you will cry. You might even scream and shout. You will relax and let go. Your heart will open. Deep and profound connection, healing and transformation will take place. Powerful coaching, gentle yoga and delectable vegetarian food will be on offer every day. There will also be plenty of time for you to take private space for yourself and go on some adventurous escapades with your retreat sisters. Optional Ideas (not included in the investment) : Enjoy the on-site Ayurvedic Massages, join a cycle tour, take a 7 minute tuk-tuk to the beach and popular cafes, walk to a local temple, take in a cricket match, tour historical Galle Fort, go whale watching, visit a turtle farm, brave the local buses, take a coastal train journey or just relax by the pool. Our resort has many excursions for you to choose from! You will have the time and space to do as much or as little as you desire. All retreat inclusions are optional too - take part in whatever feels good for you. No pressure. 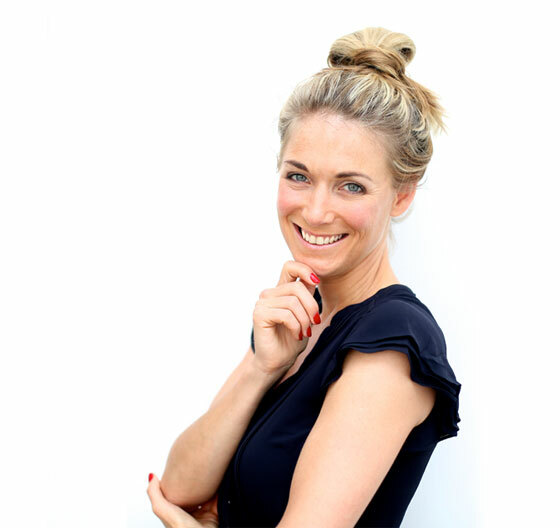 Katie Phillips - our founder - will be your transformational guide. Katie supports women who are fed up with being in constant survival mode by helping them to awaken their wise inner knowing and reclaim their value. Katie will hold a loving, friendly and fun space for you to truly come home to you. * NOT INCLUDED: Flights, transfers, optional spa treatments and optional activities. Why did you come on this retreat? How has this retreat impacted your life? Would you recommend a retreat with Katie? Why did you choose to do this retreat? How has the retreat impacted you? Why did you choose Katie as your coach? There are only SIX places in total available on this retreat. The venue and the style of this retreat has been designed to give you an experience of absolute luxury, abundant space and powerful expert support. If you are ready to claim the next chapter of your life, immerse yourself in super conscious living with a deep inner connection and the manifestation of your highest desires...I would love to speak with you. I can't wait to meet you and be a part of your transformational journey!